The arrival of summer always causes a shift in an office. Employees become more restless as the days get warmer and longer. In some cases, this can even create a decrease in productivity as business tends to slow during the summer. 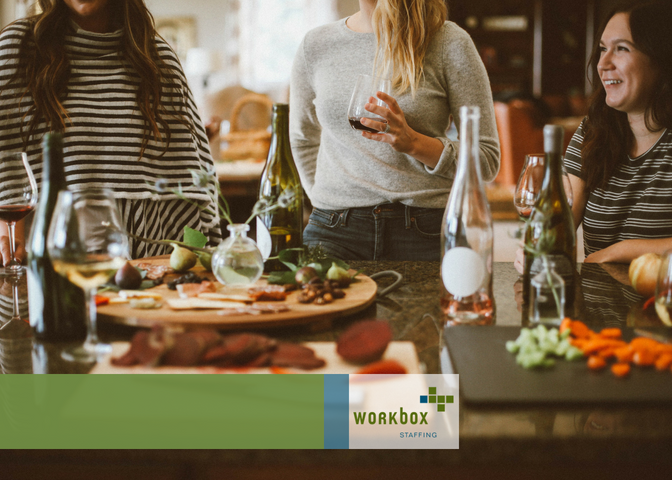 Rather than accepting summer as a slow period, try these tips to embrace summer in your office and turn up the heat on your company culture. https://workboxstaffing.com/wp-content/uploads/2018/10/WBX_Logo_RGB.png 0 0 CurlyHost https://workboxstaffing.com/wp-content/uploads/2018/10/WBX_Logo_RGB.png CurlyHost2018-05-23 09:00:002018-05-23 09:00:00"Turning Up the Heat on Your Company Culture"
Something about summer always stirs a change in employee behavior – most notably a drop in productivity. Perhaps it’s because, for 13-plus years, you know the approaching warmer weather means school is almost out and it’s time to relax for three months. Alternatively, maybe after a long winter, no one wants to stay inside. https://workboxstaffing.com/wp-content/uploads/2018/10/WBX_Logo_RGB.png 0 0 CurlyHost https://workboxstaffing.com/wp-content/uploads/2018/10/WBX_Logo_RGB.png CurlyHost2018-05-09 10:00:002018-05-09 10:00:00"Keeping Your Employees Motivated as Summer Approaches"
You’ve probably read about this “war for talent,” and how it’s getting increasingly harder to find and hire so-called “rockstar employees.” With the job market making a turn in favor of the interviewee, employers searching for the best-of-the-best have discovered the job market is turning into an arms race. https://workboxstaffing.com/wp-content/uploads/2018/10/WBX_Logo_RGB.png 0 0 CurlyHost https://workboxstaffing.com/wp-content/uploads/2018/10/WBX_Logo_RGB.png CurlyHost2017-07-13 11:05:002017-07-13 11:05:00"Retaining Staff When Your Top Talent is Leaving"
According to Merriam-Webster, “culture” was the most popular word in 2014. And for good reason. If Glassdoor, Linkedin, and Indeed don’t say your company is a great place to work, you might be risking losing your employees to one that is. Now that the economy has turned around, employees have stronger bargaining power, making the term “company culture” one of the most important words in corporate boardrooms to date. https://workboxstaffing.com/wp-content/uploads/2018/10/WBX_Logo_RGB.png 0 0 CurlyHost https://workboxstaffing.com/wp-content/uploads/2018/10/WBX_Logo_RGB.png CurlyHost2016-08-09 08:00:002016-08-09 08:00:00"Right Culture for the Right Person"
Employee retention is a delicate balance between good leadership and healthy relationships within the workplace. Benefits, flexible work hours, a constructive feedback system, and opportunities for growth are essential. However, the role supervisors play in employee retention appears to make the most impact. https://workboxstaffing.com/wp-content/uploads/2018/10/WBX_Logo_RGB.png 0 0 CurlyHost https://workboxstaffing.com/wp-content/uploads/2018/10/WBX_Logo_RGB.png CurlyHost2016-07-11 09:00:002016-07-11 09:00:00"The Role a Supervisor Plays in Increasing Employee Retention"